Bollywood actresses and glamour goes side by side. Imagining Bollywood actress without makeup or in non-glamorous roles is a bit difficult for Indian audiences. 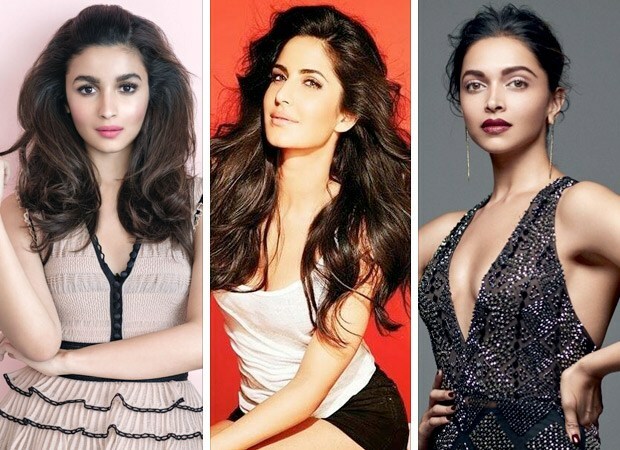 Yes, there are a few actresses for whom the reality of the role matters much more than glamour and who have shed their glamorous avatar to give live to their character. There are a few such actresses for whom the role, movie, character is much above glamour. They actually want to showcase their talent and not just be a decorated showpiece in the movie. Today over here we are going to look at a few actresses who not only played non-glamorous roles on screen but also nailed their de-glam look with their performance. Deepika Padukone in “Piku”- Deepika who is often seen in glamorous roles has also played a de-glam character in the movie “Piku” and yes she did a splendid performance in that as well. Associating Deeoika in de-glam role is a bit difficult for the audience after 2 super glamorous royal on screen look of hers in Sanjay Leela Bhnasali’s Ramleela and now recently released Deepika played the role of a simple young girl looking after her father Amitabh Bachchan suffering from chronic constipation. Sharing the screen with stars like Amitabh Bachchan and Irrfan Khan she stilled managed to grab audience’s attention with her simple yet elegant look. Alia Bhatt in “Highway”- Alia Bhatt the youngest superstar of Bollywood who made her debut with the big Karan Johar brand’s Student Of The Year. In the movie she played the role of a young fashion icon Shanaya Singhania. After watching her Shanaya people didn’t think that she could ever do justice to any de-glam role. Proving everybody wrong she came up it exemplary in her de-glam role of Veera Tripathi in “Highway”. Playing the role of a simple girl, she proved that she is not just a beauty queen but a versatile actress who doesn’t needs glamour to rock a movie. Kareena Kapoor Khan in “Omkara”- Undoubtedly one of the most beautiful actresses of Bollywood who doesn’t needs makeup to shine is a versatile actress who can nail any look. This fitness freak didn’t stop working even during her pregnancy and her after pregnancy gym routine is known to all. She played the de-glam role of a simple village girl in Vishal Bhardwaj’s movie “Omkara”. With her flawless natural skin and natural she attracted the viewers more than her any glamorous role. Priyanka Chopra in “Barfi”- Global star Priyanka Chopra who has no more restricted herself to Bollywood and is coming up with impressive name in Hollywood. She played the de-glam role of an autistic woman in Anurag Basu’s “Barfi”. She did superb performance with her short hair look and speech impediment and had even won several awards for the character “Jhilmil Chatterjee”. She has always been praised for any role she played whether it is Bollywood or Hollywood.